Hopkins, Major F.P. 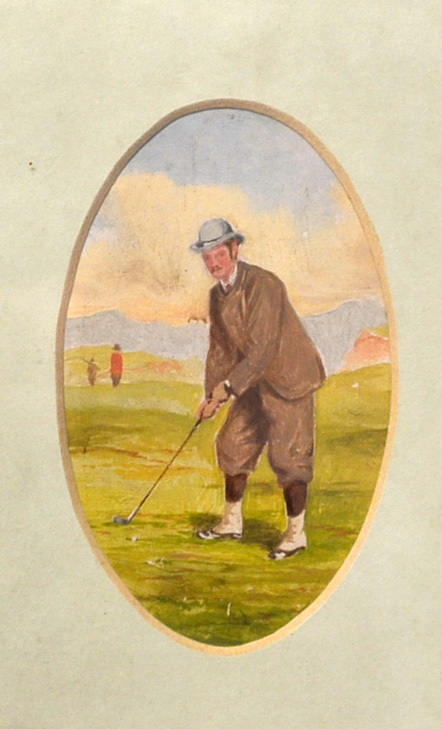 (After) - (1830-1913) - watercolour of Mr Brown Westward Ho! 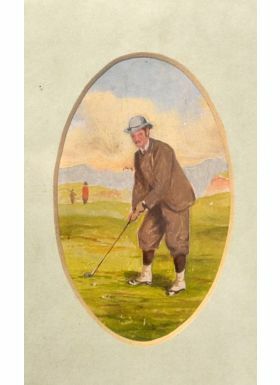 – see Henderson and Stirk “Shortspoon” p.13 golfing figure 3rd from the left – in oval mount and decorative carved frame with Torrance Gallery Edinburgh label on the reverse – image 4” x 2.5” overall 8.75 x 7.25” with hand written details on the reverse.